How to support implantation of the fetus in early pregnancy is one hot topic in the fertility world right now. Is it even possible to support implantation? What makes implantation successful? A healthy, properly functioning uterus, healthy ova (egg) and sperm, as well as balanced hormones are of utmost importance. Even if the ova and sperm are healthy and pregnancy is progressing forward in the very early stages quite normally, the new blastocyst still must make its way to your uterus for implantation. Once there, it must imbed itself into the wall of the uterus for implantation. Implantation is necessary so that the fetus, placenta, and amniotic sac can begin to form in a safe environment. Some women struggle to maintain pregnancy due to implantation problems. There have been a variety of names associated with this pregnancy issue; slippery womb, irritable uterus, spastic uterus, and so on. Sometimes implantation problems can be directly linked to fertility problems such as endometriosis, adenomyosis, Asherman’s syndrome, autoimmune disorders, and uterine fibroids. But what if you don’t have those issues and you are still having problems? There are some very specific herbs and other natural therapies that may help secure implantation. These ideas may also benefit those women who have the fertility problems I just mentioned and have been shown safe to do even if you have any of those problems I listed. A calm uterus is one that works best. Calm does not mean weak. A uterus that is calm works accurately and efficiently in all aspects of the menstrual cycle, pregnancy, labor, birth, and postpartum. For hundreds, possibly thousands of years by Native Americans, the use of specific herbs have been shown to calm the uterus. Today, modern herbalists continue to rely on these herbs to prepare the uterus for pregnancy, reduce or eliminate cramping, inflammation, pain of the reproductive organs, tone the muscles of the uterus, relax the nervous system and, in some cases, prevent miscarriage and aid in securing pregnancy. The uterus can be a mystery in its workings. The uterus is made up of layers of muscles, and it is one part of the female body that is most likely to spasm and cramp, causing pain. Uterine spasm and pain do not just happen in labor; in fact, many women experience painful menstruation known as dysmenorrhea each month. The following herbs, when combined in a liquid extract, may greatly help prepare the uterus for implantation and support the uterus in sustaining pregnancy, thus helping to prevent miscarriage. It is important to note that miscarriages due to random genetic defects are nature’s way of helping to ensure healthy babies. Miscarriages due to this reason are meant to happen and the body will miscarry despite any sort of efforts on behalf of the mother or health care provider’s support. In the case of recurrent miscarriage or failed IVF due to dysfunction of the uterus, including weak uterine muscles, spastic muscles of the uterus, inflamed uterus, or the presence of foreign tissue growth within the uterus, which may cause implantation problems, certain herbs and natural therapies may help. Used traditionally as a preventative for recurrent miscarriage. This herb has been shown to reduce spasm of the uterine muscles and ovaries. Specialists in complementary and alternative medicine, Dr.s Tieraona Low Dog and Marc Micozzi share in their text Women’s Health in Complementary and Integrative Medicine: A Clinical Guide of how Cramp bark works to relieve uterine irritation, relax the muscles, with specific action on the uterus as a smooth muscle antispasmodic. This herb slowly relaxes the nervous system as well. This combination of actions may help prevent miscarriage in women with a history of miscarriage. Black haw and Cramp bark are considered among the most important uterine antispasmodics. These herbs have the ability to relax smooth muscles, for example: intestines, uterus, and airway. They also are relaxing for striated muscle as well. These are muscles attached to the skeleton, like the ones in your limbs. I personally feel this herb is one of the best herbs to have on hand at all times for any sort of menstrual pain. Another beneficial use may be for threatened miscarriage. It has been used for hundreds of years to help prevent miscarriage. If there is uterine cramping without cervical dilation, Black haw and Cramp bark have been used to help stop uterine spasm, contractions, bleeding, and nervous tension in early pregnancy. Black haw has also been reported to help strengthen a weak cervix. Trying to conceive can be stressful, worry about implantation is stressful, and the nagging questioning of possible miscarriage is even more worrisome. Both of the above herbs have a mild sedative action, aiding the body in reducing anxiety, nervous tension, and irritability, while promoting a sense of calm and well-being. They are not so sedative you will be knocked out; they just help to take the edge away. This herb is toning and supportive of the tissues of the body, mainly the uterus, ovaries and urinary tract. Partridgeberry is often used in the case of a weakened uterus due to lack of menstruation, pelvic stagnation (related to many fertility problems), previous surgical procedure to the uterus, and hormonal imbalance. Partridgeberry is helpful when the woman is experiencing painful cramping, uterine spasm, bleeding, and/or passing of blood clots in the first trimester of pregnancy. The Eclectic physicians used this herb for a century to relieve false labor pains, as it is a tonic for both the nervous system and the uterus. The Eclectics learned the value of Partridgeberry through the Native Americans, who had been using it for hundreds of years to prepare women for childbirth. Traditionally it was given to mothers daily for 2 months prior to expected time of delivery to prepare them for childbirth. After reading this you may be wondering, how does this relate to miscarriage? It relates because it shows that this herb does not bring on labor, it is safe for pregnancy, and it helps to make the uterus strong and efficient. In fact, herbalists, American midwives and Native Americans have used Partridgeberry in pregnancy for years, with no adverse effects to mother or fetus. According to Dr. R.S. Clymer, Native American Indians use Partridgeberry to ensure proper development of the fetus. If there could be one herb that stands out in its benefits for helping to prevent recurrent miscarriages due to weak uterus, Partridgeberry is it! Partridgeberry helps the uterus to work smoothly and efficiently, aiding in proper function of the uterus. This does not mean it is going to stimulate contractions, it simply means it is going to help the uterus to function as best it can. In the case of miscarriage due to a spastic, dysfunction of the uterine musculature, it is going to help calm the muscles of the uterus, promote relaxation, thus aiding in prevention of miscarriage. Partridgeberry is excellent for women who have experienced miscarriage in the past. The fresh milky tops of the oat plant are extremely nourishing to the central nervous system. Only the fresh tops of the Avena sativa plant bring about real change in the body. This plant is great support for stress related fertility issues. It has been shown to help support function and health of the central nervous system. Oat flowers are effective for PMS, mood swings, sexual weakness, adrenal fatigue, post-traumatic stress disorder, chronic immune deficiency, autoimmune disorders, chemical sensitivities and sleep disturbance. This herb is really one of the best herbs for long-term stress support. The Eclectics used this specific part of the oat plant for over 150 years to treat emotional instability, anger, stress, depression and “shattered nerves”. Important Caution for Oat Flower: Persons with Celiac Disease or gluten intolerance must check with the manufacturer of the product they purchase to make sure there is no cross contamination of gluten during the manufacturing process. The combination of these herbs is very balancing for the reproductive organs. When the above herbs are used together, they are both cooling and warming, creating a balance within the body. This blend may be helpful for preparing the uterus for implantation, preventing miscarriage due to overactive uterus and uterine cramping without cervical dilation. These herbs have been shown safe to use in the first trimester of pregnancy, while the mother is under the care of an herbalist, ND, midwife and/or doctor that supports the use of natural therapies in pregnancy. They would be best used beginning 3 months prior to pregnancy, in preparation for conception and pregnancy, and then continued 2 weeks past previous miscarriage. For example, if the last miscarriage was at 9 weeks, the formula should be continued up until the 11th week of pregnancy. According to the International Journal of Pharmaceutical Sciences and Research, Black haw, Crampbark, Oat Flowers and Partridgeberry are all considered safe for pregnancy based on their use by experienced herbalists and pregnant women for centuries. 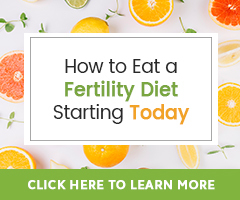 While there is no scientific evidence to back this, or even clinical observation of this working; this suggestion is sworn to work by hundreds of women all over fertility forums. The information is so rampant, I could not hesitate to share it with all of you. It is very safe, easy to do, and easily accessible. Bromelain is a Protease plant enzyme, found in the core of the pineapple fruit. Bromelain is anti-inflammatory and has been shown to increase cervical mucus and promote optimal immune system function, which may help prevent implantation issues (common for women who have inflammatory fertility-health conditions). Consider including the following herbs, supplements, and physical therapies to prepare and strengthen the uterus to aid in implantation prior to pregnancy. Each of these are best done for 3 months prior to pregnancy, to help prepare the body for pregnancy. Petersen, F. J., MD. (2010). The Materia medica and clinical therapeutics. Nabu Press. Lowdog, T. and Micozzi, M. Women’s Health in Complementary and Integrative Medicine: A Clinical Guide. hurchill Livingstone; 1 edition (August 12, 2004). I started taking Uterine Calm after an ectopic pregnancy which resolved at the end of this last February, in preparation for my first (and only!) IVF cycle. This could be attributed to the ectopic throwing things off, but my period was 4 days late this cycle and that NEVER happens to me. I wanted to ask, to set my mind at ease, is there any way that this delay could be attributed to the Uterine Calm? I also had a uterine polyp diagnosed and removed last year, so I don’t want to do anything that will deter proper “flow” and circulation within my uterus. Thanks in advance! I am sorry for what you have been through. UteriCalm does not an action on the hormones and is not known to delay menstruation. Where can I buy these herbs, I am going to have FET in November and want to optimise the endometrium lining and the implantation of the embryos. Thank you in advance. Hello again, I forgot to mention I used donor eggs and my husband’s sperm. I have had 3 failed embryo transfers over the past 10 months, I’ve had 1 miscarriage and twice the embryos failed to implant. You might be interested in our guide 5 Steps to Preparing for a Frozen Embryo Transfer. Thank you for all of the wonderful information found on your site. It is very eye opening. Is there a way to utilize the “pineapple strategy” if you are undergoing IVF? Pineapple and its core is fine to eat while undergoing IVF. After confirmed ovulation (or an embryo transfer, in the case of In-Vitro Fertilization), resources share to begin consuming one to two slices of pineapple with the core each day. Here are additional Natural Ways to Support Your Body Through an IVF Cycle. I’m 38yrs and have been pregnant twice (about 15yrs ago) and miscarried. I had myomectomy in 2009, was subsequently diagnosed with Adenomyosis. I have not been able to get pregnant naturally for nearly 8yrs (inconsistently trying). I started the IVF process in October. Egg retrieval was done in December and I was told to return on day 2 of my next period, which is expected in a few days, to start the process for FET. I’ve read that one of the major challenges to a successful pregnancy with my condition, is implantation . With that said, I’m more interested in this UteriCalm herbal blend, and curious to know if it is advisable to use at this stage of my Fertility Treatment. UteriCalm can be utilized throughout both IVF and continued through the first trimester of pregnancy to support a calm uterus, with your doctor’s approval. When running low on time to prepare for IVF, here are Natural Ways to Support Your Body Through an IVF Cycle that may be of interest to you as well. Do you have any products that have been prepared from these herbs that one can buy? We don’t have these herbs in our region. Many of the herbs outlined in this article are available in a blend. Please revisit this article to find the link that says To purchase a formula containing these herbs click here…. Red Raspberry Leaf is also available from the Natural Fertility Shop. For support with ordering or delivery questions, please contact our customer care team. 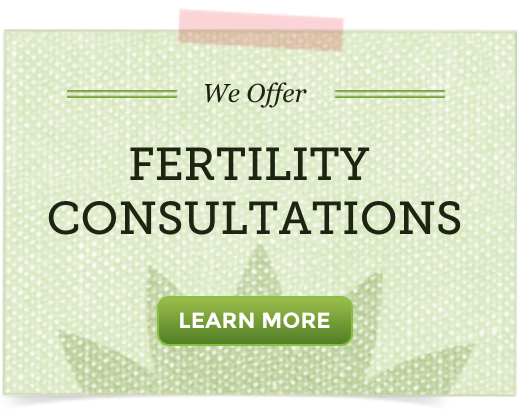 Your site has been so helpful during my fertility journey! I live in the UK so I haven’t purchased your products (would if I was in the US!) but your info & emails have been amazing. I am now 5 weeks pregnant (!!) & looking for natural ways I can support my pregnancy & help avoid any risk of miscarriage which may be down to any of my own defiencies or abnormalities. This is my first ever pregnancy. I am 35. I’ve noticed your articles mentioning Black Haw and Cramp Bark. I like to make herbal infusions – would you say a tincture of these herbs is best or would a herbal tea/infusion work just as well in early pregnancy? I don’t want it to be too strong to cause problems… Thank you so much! First, Congratulations! We wish for you a happy and healthy pregnancy! We have a wealth of Pregnancy Health information you may wish to browse through when you have time. Regarding Black Haw and Cramp Bark, they can be prepared either way, a tincture or a decoction which is a strong medicinal tea made by boiling plant parts in water. Decoctions are best for root or bark plant parts and can be just as effective as a tinture (liquid extract). Traditional suggested use is for acute situations, not for long term use unless being guided by a qualified practitioner is as a tincture: 3-10 mL a day or 1/2 tsp a day in a little water 2 times a day and as a decoction: 1/2 cup 3 times a day or every 3 hours as needed. Hi, I adore this site, thank you for your articles! I just would like to clarify one thing: in Russian language articles about medical herbs always is stated that cramp bark increases uterine tonus, while here you write that this herb relaxes the uterine muscules. So, could you please explain. We use and know Crampbark (Viburnum opulus) as a antispasmodic herb to relax smooth muscle throughout the body, including the uterus. I am sorry I am not familiar with the Russian language and if “tonus” means “tone” in terms of uterine tone or muscle strength. If this is the case, I have not heard of Cramp bark (Viburnum opulus) being used as a uterine tonic. Dear Elizabeth, thank you very much for your prompt reply, it was very important for me. Sorry for my English as well:) Yes, I’ve meant exactly uterine tone. So, I’m completely sure now that this herb is safe in terms of using in TTC and early pregnancy. Thank you and best regards. No apologies necessary and I am happy to have been helpful! Let me ask you the last question about Partridgeberry. Should we use berries or leafes? Hi! I usually take royal jelly every morning before breakfast and midnight before sleep. Can I consume UteriCalm together with royal jelly at the same time because UteriCalm also must be taken 45 minutes before breakfast right? Can I also use Radiant Womb Massage Oil while I consume UteriCalm and royal jelly? Please help. I want to prepare my body to do FET in April 2015 having just failed my 1st UVF. Thanks! UteriCalm can be taken with Fertilica Royal Jelly and both can be combined with Radiant Womb Massage Oil. There is no need to take either UteriCalm 45 minutes prior to a meal. It is suggested that Royal Jelly be taken between meals. Consider also reading about 5 Steps to Preparing for a Frozen Embryo Transfer. I think this will provide additional helpful information. is the pineapple core after ovulation? It is suggested that the core of pineapple, which contains the enzyme bromelain, be consumed for implantation support from just after ovulation until you either get your period or confirm pregnancy.